Home » AI and Machine Learning » Are BMW, Intel, And Mobileye The New Dream Team For Automated Driving? 01 Jul Are BMW, Intel, And Mobileye The New Dream Team For Automated Driving? BMW, Intel and Mobileye have announced today that they are joining forces to create what they hope will become an industry standard platform for safe automated driving. 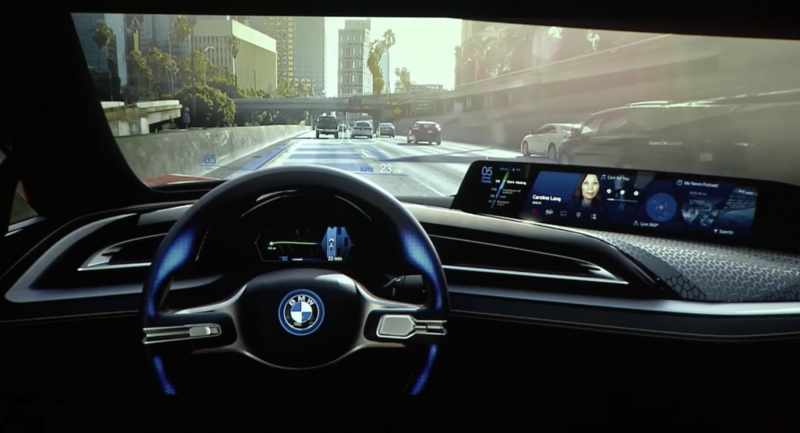 BMW plans to integrate Intel and Mobileye technologies into BMW’s “iNext” platform, the company’s target vehicle for fully automated (driverless) cars in 2021. What sets this announcement apart is the intention to provide a standard open platform, enabling other companies to leverage engineering and expertise from this team to produce their own driverless vehicles. Intel said that this project will require 100’s of people from the company, with a spend of 100’s of millions of dollars. The big question is whether other automakers might be willing to follow the lead of a strong competitor like BMW. If so, and that’s a very big if, these three companies could become a dream team that will drive many innovations needed for fully autonomous vehicles. 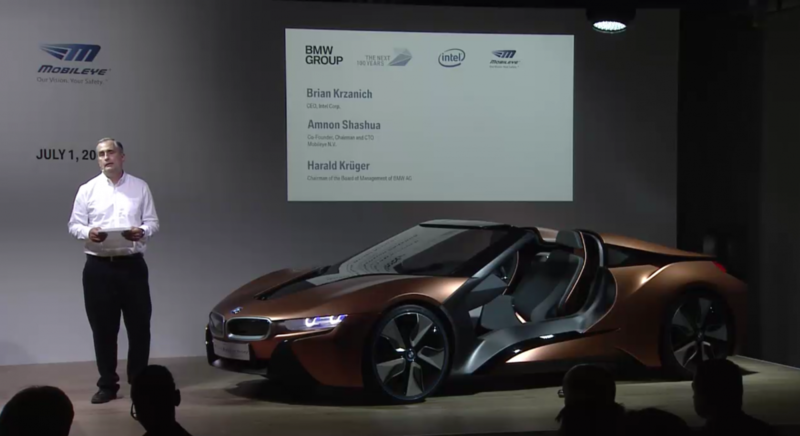 To drive home the point that this is a very big deal, the three companies brought their top execs to Münich, Germany, for the announcement, with the CEO of Intel, Brian Krzanich, the Chairman of Mobileye, Amnon Shashua, and the Chairman of BMW, Harald Krüger, for the announcement. The companies intend to produce and publish the technical specifications of the platform they are jointly developing, and have a set of deliverable and milestones they intend to share. This deal is a win for Intel, as it puts them at the forefront of autonomous development with one of the most prestigious brands in the auto industry. The agreement encompasses all the way from L3 (eyes off), L4 (hands off) to L5 fully autonomous driving. This is far as one can go, that is, to L5 without a human, and this is the farthest we have seen Intel go with any other car manufacturer. Most of Intel’s recent automotive wins have been with in-car navigation and entertainment with Hyundai, Infiniti, and Kia. Five years ago, Intel opened a German auto technology center, which could have been the pre-cursor to this deal. From an historical chipmaker perspective, NVIDIA and Qualcomm are getting most of the credit for automotive electronics advancements and have racked up wins in many automotive areas. Collaborating with a leader like BMW will put Intel in a much better position to expand beyond their current, automotive niche into what is becoming a datacenter on wheels. 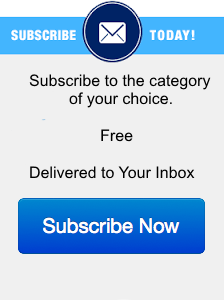 Areas of exclusivity are unknown at this point. To realize their dreams, these three must overcome two challenges, in addition to mastering the engineering complexity of the task at hand. First, Intel will need to deliver the efficient compute engines to fit in a car that normally require racks of servers in a datacenter. Second, the companies will need to enable and nurture an ecosystem of engineering teams and auto companies to embrace their open platform. Let’s look at the compute challenge first. Creating a fully autonomous vehicle requires a massive amount of computational power to sense the fast moving environment and implement appropriate control policies that the Artificial Intelligence (AI) systems determine are the appropriate course of action. These AI systems make use of the Deep Learning algorithms that are now all the rage in the big internet data centers like Google and Facebook, but in this case they are determining the best course of action to take in a car traveling at 70 mph with lives at stake, not just whether your picture contains a cute cat or a dog. Intel estimates that it will require 100 teraflops (trillion of calculations per second) to realize this vision and ensure the levels of safety the driving public and governments will demand, all within the power envelope available in an automobile. This area of computation, called Deep Neural Networks, is currently dominated by NVIDIA Graphics Processing Units (GPUs), and is one of the few areas that Intel does not have a leadership mind share, and likely market share (precise data is not available). Intel needs to change that, as Deep Learning is the next big thing in the Internet of Things as well as in the datacenter. To do so in automotive, they will need to combine Xeon CPUs for control and infotainment systems with the FPGA technology they acquired when they purchased Altera for $16.7B last year. Intel Atom and Xeons were mentioned publicly, however Intel hasn’t provided details so far on the specific workloads, workload segmentation, compute location, software or which specific Intel chips will be used. FPGA’s can provide extremely efficient and flexible computation. Deep Neural Networks (DNNs) are typically trained by NVIDIA GPUs in the datacenter, which are then used for inference (decision making) by Intel (cloud) or ARM Holdings (mobile) CPUs. But in a car, the speed at which decisions must be made, and the amount of data coming in to the net, will likely outstrip a CPU’s ability to keep up. In addition, the task is far more complex than a neural network in a datacenter, because the computers must support sensor fusion, inference, trajectory, route plan, decisions and vehicle control. This is where Intel hopes their FPGA’s can offer an efficient alternative to the GPUs used today in platforms like NVIDIA DrivePX2. While Intel is coming from behind in the market and technologies for DNNs, they believe FPGA’s can help them win in this market, and claims a 50-100% efficiency advantage over GPUs (a claim that needs 3rd party validation). But Intel’s potential advantage in this triumvirate is that they uniquely have both CPUs (Atom, Xeon and Xeon Phi) as well as FPGA’s, and can select the best technologies to solve a specific part of the problem, so the auto manufacturer doesn’t have to become the chip expert and make these decisions themselves. Time will tell if the lack of a high-performance GPU will be an Achilles heel. If the story ended there, all three companies should benefit from their collaboration, as will the driving public from the increased safety that automation promises. But the stated goal of this group is to actually lead the industry by providing a standard open architecture specification that other manufacturers can use to build their own autonomous driving platforms. No details were provided yet on the “open” or the “standard.” The impact on the industry beyond these sponsoring companies will depend on the extent to which the integration software is made available as open source, and the ecosystem they sponsors are able to recruit. Intel is very skilled and has demonstrated a history of creating standards. This is a noble goal, and I applaud their altruism. However, it is a goal that is difficult to realize for two reasons. First, being open has not historically been in the auto industry’s DNA. After all, Tesla uses their superiority in automation as a key differentiator, and helps them maintain a higher price for a premium product. Mobileye has become the leader in sensors exactly because they take a different approach from the typical digital camera that similarly differentiates them in their market, and the same holds true for BMW. However, BMW has shown their ability to partner in the area of real-time mapping data, working with Audi and Mercedes Benz. Second, the rest of the industry will be racing (sorry, no pun intended) to get their autonomous systems to market and are unlikely to hitch their wagons to what may be a slower competitor. In any event, teaming together should allow these three to produce some amazing vehicles, and it will be interesting to watch how this innovation unfolds and impacts our societies and industries in ways we can barely imagine. Posted by Karl Freund in AI and Machine Learning, CPU GPU DSP FPGA, Semiconductor , Followed with Comments Off on Are BMW, Intel, And Mobileye The New Dream Team For Automated Driving?